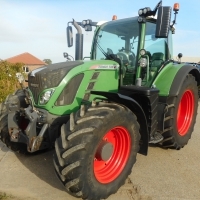 C/W FULL SET OF FRONT WEIGHTS, TRACK WEIGHTS, AUTOGUID READY, 4 SPOOLS, AUTO AIR CON, COMMAND ARM AIR SEAT, COMMAND SENTER, PASS SEAT, CAT ENGNE, YEAR 2012, FULL DELER SERVICE HISTORY FROM NEW, ONLY 3,965 HOURS!!!! C/W 50 KPH, AIR BRAKES, REAR WHEEL WEIGHTS, 5 SPOOLS, RED LETHER COMMAND ARM AIR SEAT, AUTO STEER READY, ELECTRIC MIRRORS, AIR CON, YEAR 2013 ONLY 1,756 HOURS FROM NEW!!! !